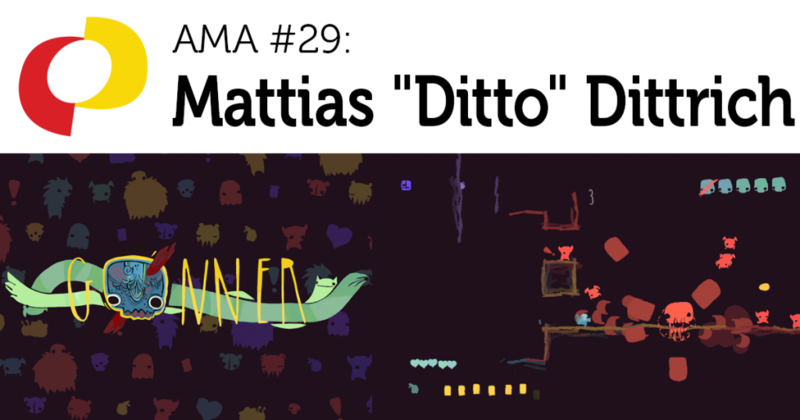 Industry Speaker Series: "Ask Me Anything"
Ditto is a programmer, game designer, and artist whose indie studio Art in Heart created GoNNER. Follow Ditto on Twitter. Location: The IGDA Student SIG Discord Server, on the #ask-me-anything channel for text, and the 🔊AMA Voice channel for voice chat. Both channels can be found under the “Event Channels” category. Date & Time: Thursday, May 31st at 5:00pm CEST, and the event will last for one hour. AMA stands for “Ask Me Anything.” It’s a format for hosting online discussions, where the audience asks questions of the guest speaker during a set amount of time. The format became popular on Reddit, but we hold our AMAs on our community Discord server. To participate in an AMA, simply log into our server during the scheduled time and post questions under the #ask-me-anything channel. If the speaker has agreed to do a voice chat, we’ll also ask you to join the 🔊AMA-Voice voice-chat channel. If you know you can’t be online for a particular AMA, feel free to post your question on the channel during the days leading up to the event. the next one might be scheduled at a better time for you. Would you like to speak to students about your career in games? Click here to sign up!